This is part 2 of a 9-part series on Stacey Nemours fantastic online flexibility course package for dancers. 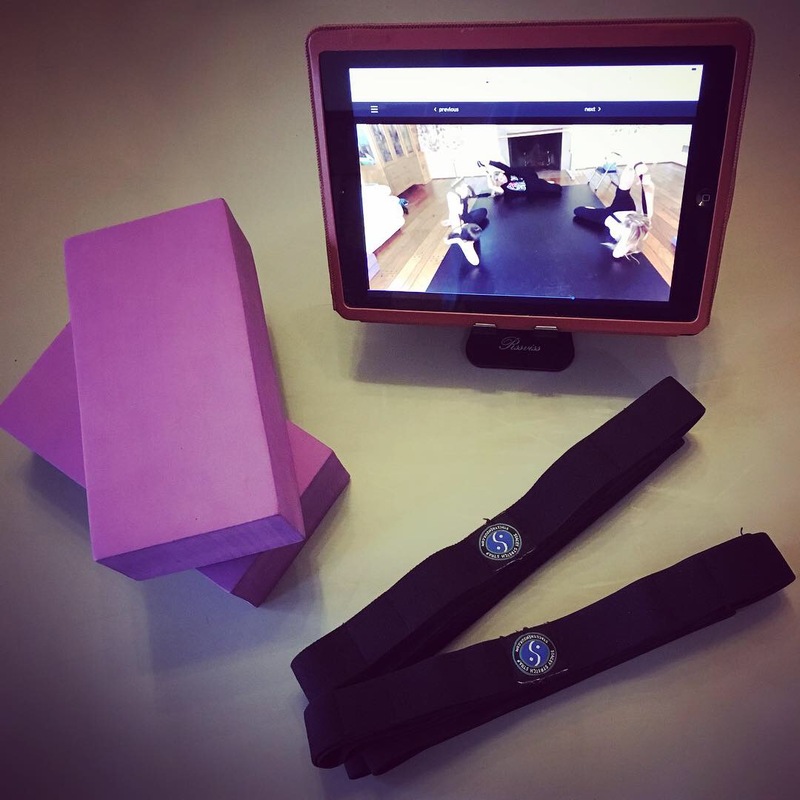 Recorded ‘home coaching’ class – Stacey demonstrates the exercises and offers corrections and modifications while 2 dancers of different levels practise with her. I like that this course is intended to be followed along by dancers (or martial artists, gymnasts, athletes, etc..) of different flexibility levels. It enables me to see what the exercises look like on different bodies, and how improvements in range of motion can be achieved no matter where you are at to begin with. I also like that the course is not overly edited or too polished, so it feels like Stacey (and Malena and Samantha) are right there with you working through the class. Stacey has opted not to edit out any of the struggles (or strap-bloopers.. they happen!) – which I am really thankful for. Flexibility work doesn’t always feel ‘glamorous’ to me. It can be relaxing, sure, but the deeper exercises and stretching positions can also feel (and look!) a bit awkward until you are used to them. This is actually a good thing. The focus is on what works, and on how the exercises feel, not how they look to the outside world. The results are where it’s at. Also, in this course Stacey uses her stretching straps in innovative configurations for a big portion of the exercises – some of which took me a moment to ‘get’ (meaning I had to pause the video at times,which I now do anyhow when I want to give my body some extra time to release) – and it helped me to understand the ‘strapology‘, meaning it gave me ideas on how to use them for other exercises as well. 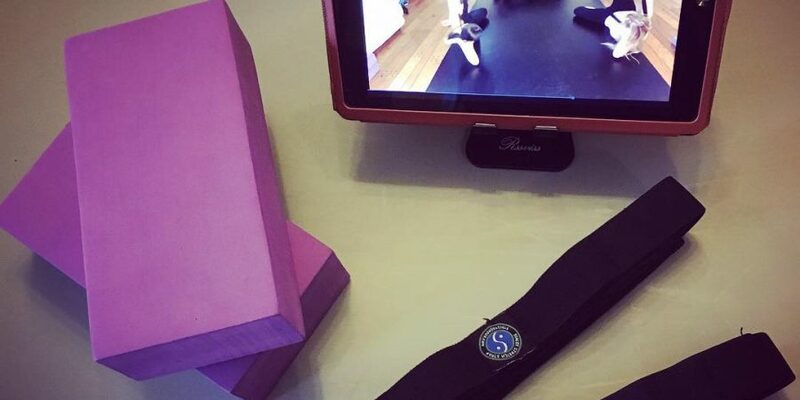 Speaking of struggles: At times – especially the first few times working with the courses – I struggled with the transitions, the changing of strap configurations etc.. and on top of that I had balance wobbles here and there in the standing exercises. Thanks to the ‘live feeling’ of the course this was not too frustrating. In fact, it was very comforting to see/hear that it was very ‘normal’ to need practise. The first time I tried this course it helped clear a few long-standing flexibility imbalances and increased my range of motion dramatically. Lately when I work with it I notice that it gives me a bit more control in holding the higher leg ranges in general, which is great for taekwondo and ballet. Higher leg holds, lower back is more relaxed, less imbalance in flexibility between right and left side. I like the way Stacey progresses her exercises, especially in this particular course. My favourite exercise is the floor conditioning for extensions. It feels very safe, because you don’t have to grapple with balance just yet, and it makes gravity work for you, not against you, making the exercise quite (or well, relatively) comfortable, yet highly effective. If you have any questions about the Extensions for Days course, or about the Dance! Flexibility Makeover pack in general, feel free to contact me via the comments below.